Recording and editing audio doesn’t have to be a daunting task. In this in-depth course full of real-world examples, expert trainer Joshua Carney will teach you the skills, tools, essential technique, and workflows you need to master to make great audio recordings! 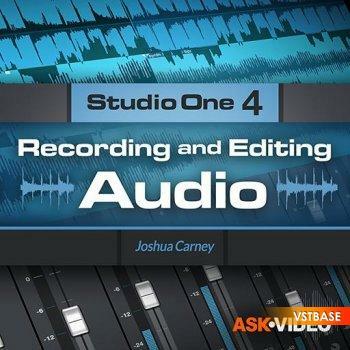 So don’t wait... dive in this course and learn everything about recording and editing audio using PreSonus Studio One 4!